This coloring page makes for an easy greeting card activity. It just needs the artistic touch of your child. Print a few, fold into quarters and you've got Hanukkah greeting cards ready for the season! 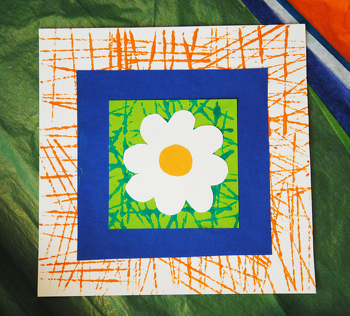 Holiday greeting cards let your child express his holiday cheer and have fun crafting. 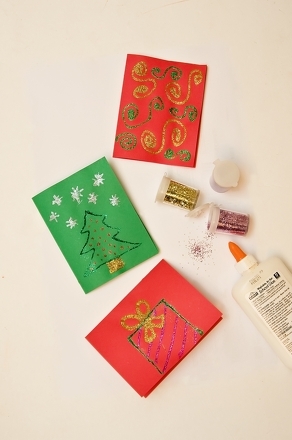 Make a set of holiday greeting cards with your kid this holiday season. Pass on some Hanukkah greetings with this homemade card your child can make herself. Give Hallmark a run for its money with these handmade printed cards. Hanukkah gelt is a festive treat for the Festival of Lights. 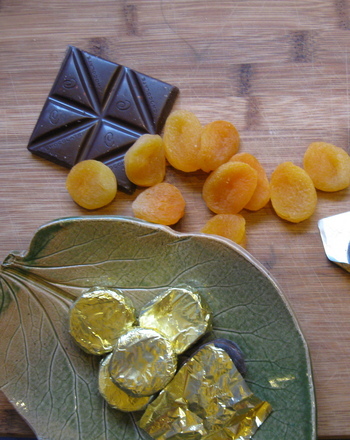 Make this Hanukkah gelt even more special with chocolate-dipped apricots. This worksheet shares Hanukkah themed maths problems with numbers under 10. In this easy writing exercise, kids can get some practise writing short sentences about their family's Hanukkah traditions. Celebrate with this cute Hanukkah coloring page! Your child will get excited about the holidays as he colors in dreidels and other Hanukkah decorations. Take these Hanukkah themed word problems for a spin! 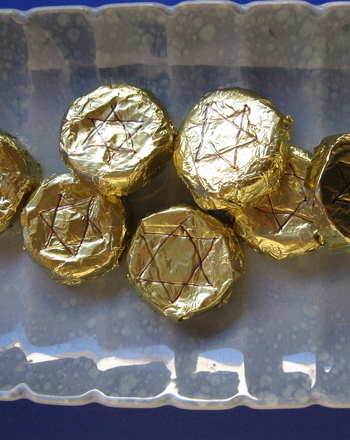 Your first grader will delight in making a cookie version of homemade gelt--the gold coin chocolates that are often given as gifts or prizes during Hanukkah. Practise using the number line to count and subtract numbers up to nine in this Hanukkah themed worksheet. This puzzle printable features picture Sudoku for the Hanukkah season, with one puzzle for easy and one for medium.